Onur Yıldız and Naz Kocadere of SALT Research and Programs interviewed Stephen Wright, the author of Toward a Lexicon of Usership (2013), following his talk ‘‘Usership: Tales of Life Onboard’’ held at SALT Galata on March 10, 2018. The discussion revolves around who entails the user, the nuances between usership and spectatorship, and how the art that is being used is different from the ‘‘useful art’’ in relation to the Arte Útil archive and SALT’s Office of Useful Art. Naz Kocadere: Stephen, I would like to start by asking you where the title of your recent talk comes from. Stephen Wright: A few years ago, I presented my research around usership at the Showroom in London. It was quite interactive. Instead of a Q&A at the end of each talk, presenters posted and exchanged a specific question, which I was supposed to read and comment on. Someone said: “Ok, this is all very well but what about the pirate ship?’’ It was then that I realized that there was a ship involved. 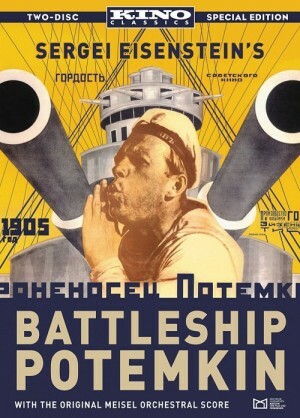 Also, the last sentence of my book Toward a Lexicon of Usership is “Usership Potemkin,” which is one of the icons of the beginning of the Russian Revolution, in reference to Sergei Eisenstein’s famous film Battleship Potemkin (1925). I have enjoyed comparing usership to the workings of some kind of a ship, so ‘‘tales of life on board’’ is basically life on board the usership. Onur Yıldız: My question is about the term you coined, ‘‘usological turn.’’ It refers to a moment in the history of change. What is your reference point for this? What do you mean by the turn? SW: I don’t use it ironically. I wink my eye when I talk about the usological turn. There is something performative here. I tend to discuss the current issues in usology as if it were referenced as an index of social science like sociology, though we may not be quite there yet. With the rise of social media, usership becomes a site of value and information production as well as that of content generation. Those things have emerged massively over the last fifteen years. At my talk yesterday, I mentioned that the value of big corporations like Google actually comes from the usership. Responding to various questions about algorithms, I suggest that users are actually the fuel and engine of algorithms, which are empty mathematical formulas with no subjectivity. I think that subjectivity is what I call usership. All of that is a part of the usological turn in the field of aesthetics. Like you Onur, I also consider the Office of Useful Art at SALT Galata as one of the best witnesses to this.